Best Anesthesia for Amputating the Bill of Rights? 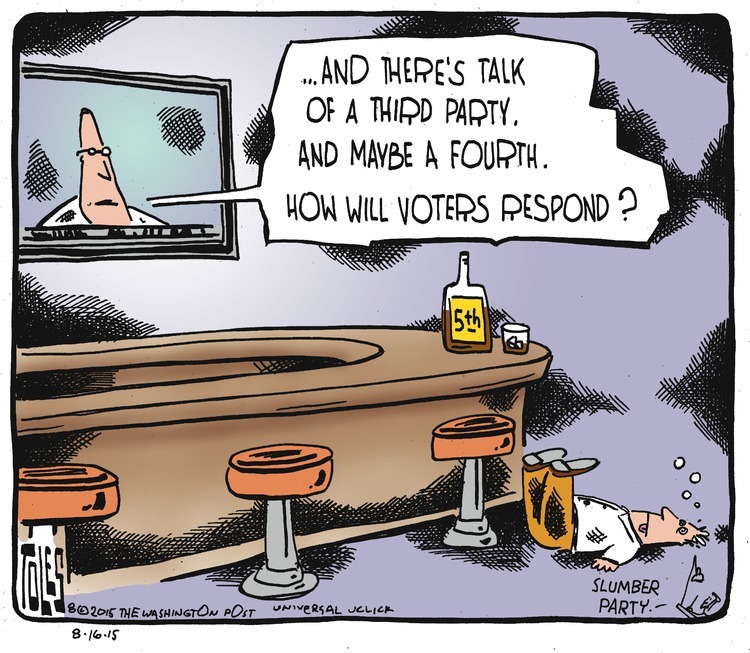 This Toles’ cartoon on despondent voters getting liquored up reminds me of how Civil War surgeons gave soldiers whiskey before sawing off their legs. What is the best alcohol anesthetic for the amputation of the Bill of Rights? One Response to Best Anesthesia for Amputating the Bill of Rights?